Extraordinary Structures is a design and manufacturing company based in Santa Fe, New Mexico. 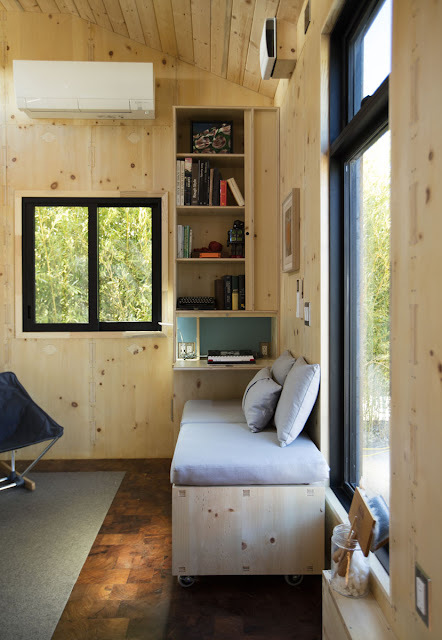 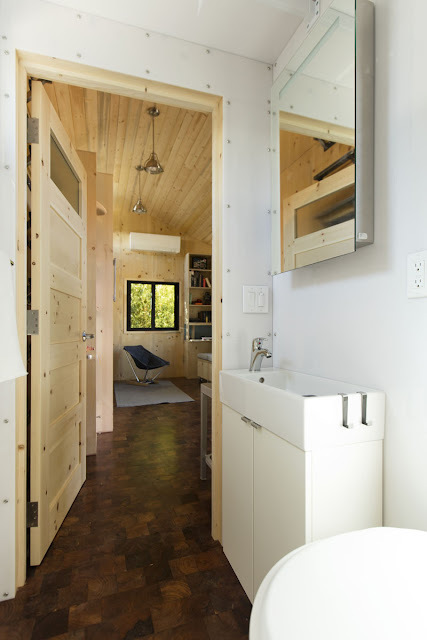 Specializing in small but functional structures, they designed and built this beautiful tiny house: The Saltbox! 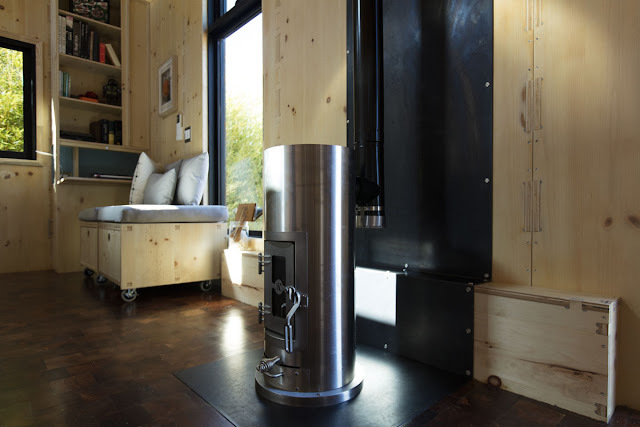 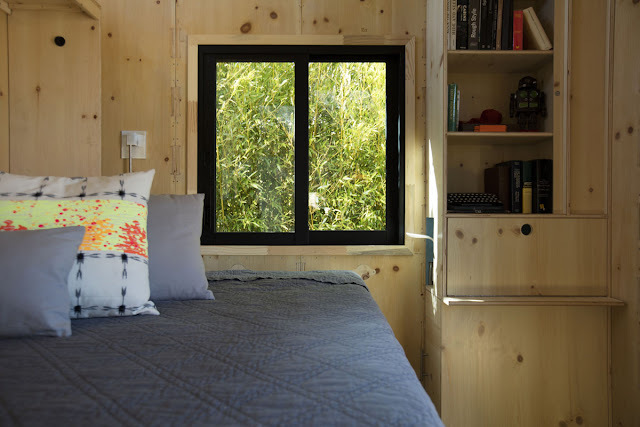 The Saltbox is designed to be liveable and eco-friendly. 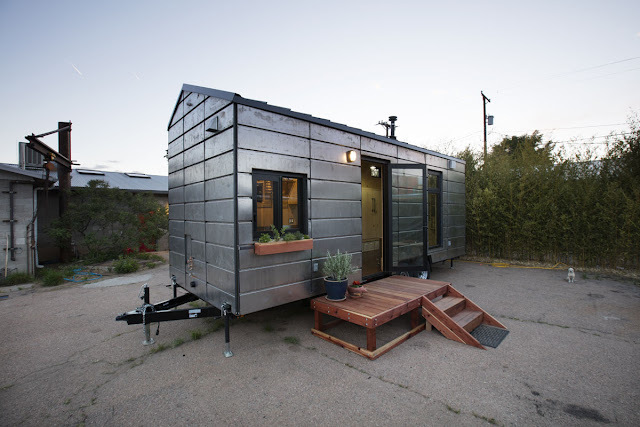 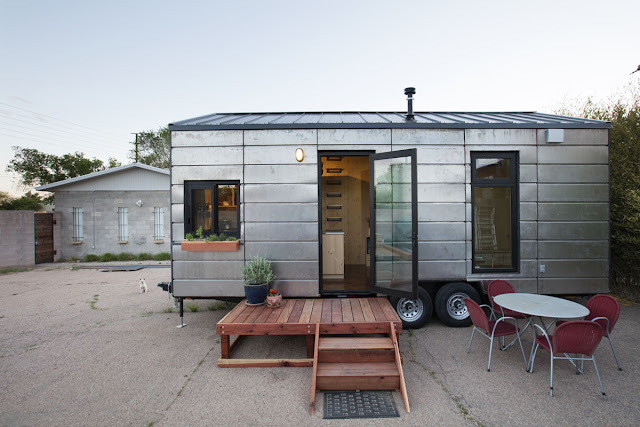 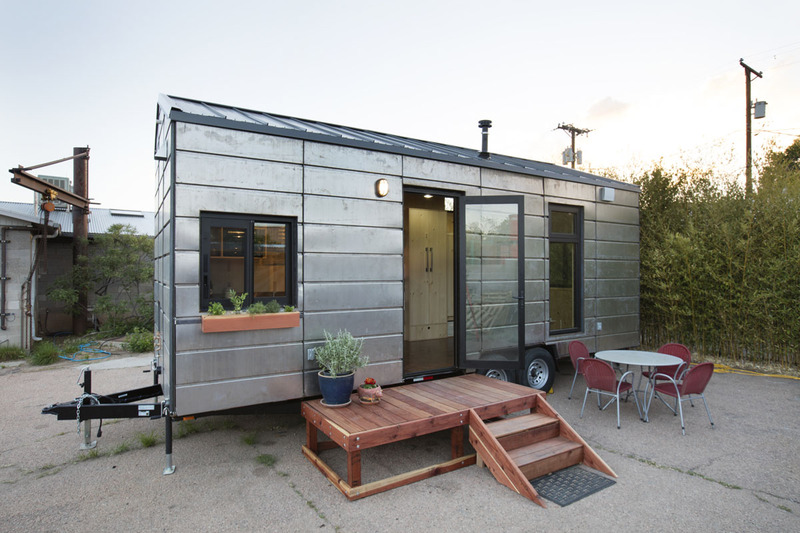 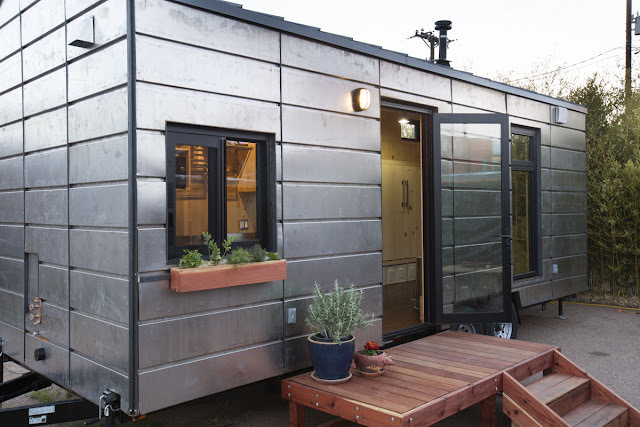 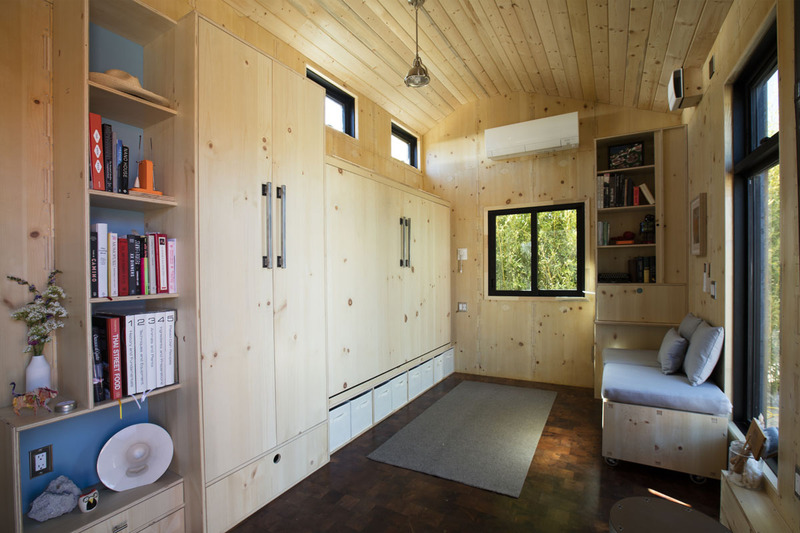 Built onto a 24' trailer, it has an interior size of 200-sq-ft. 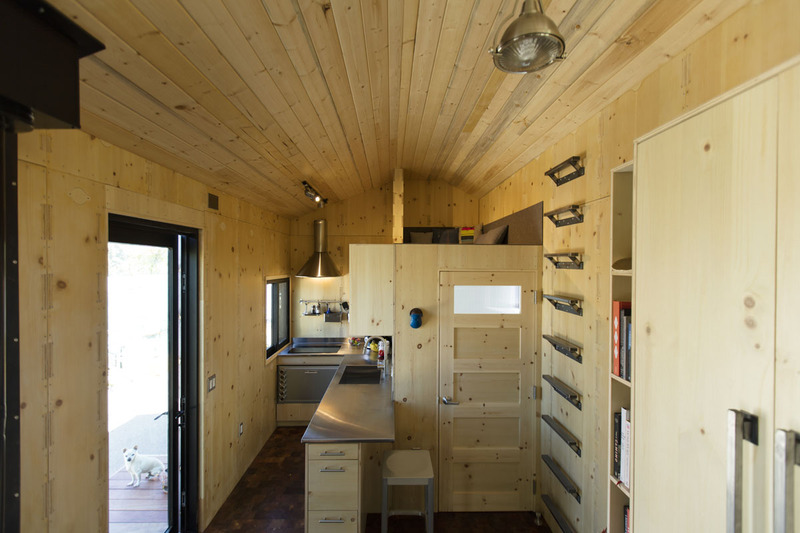 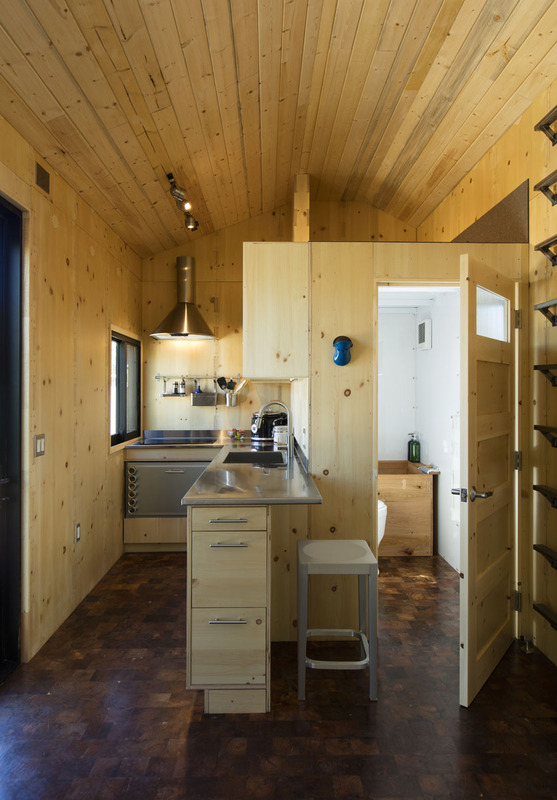 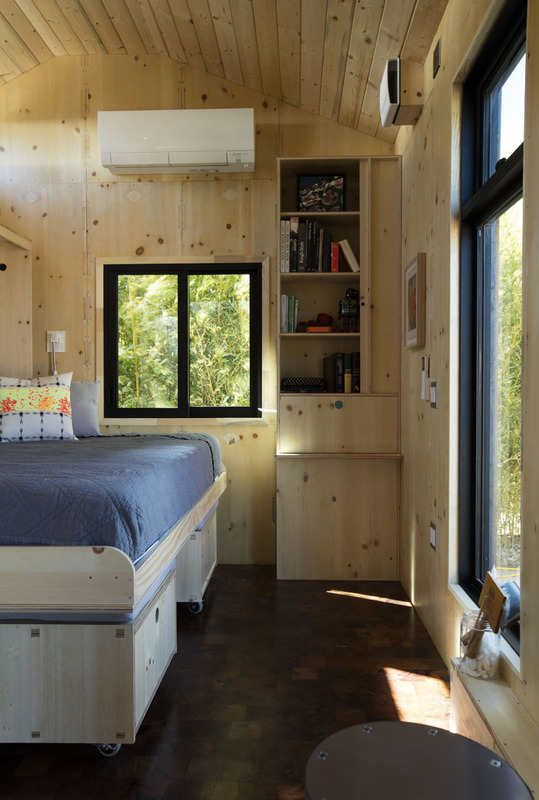 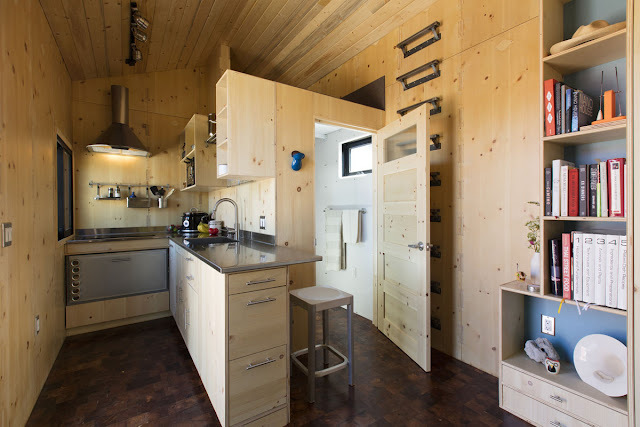 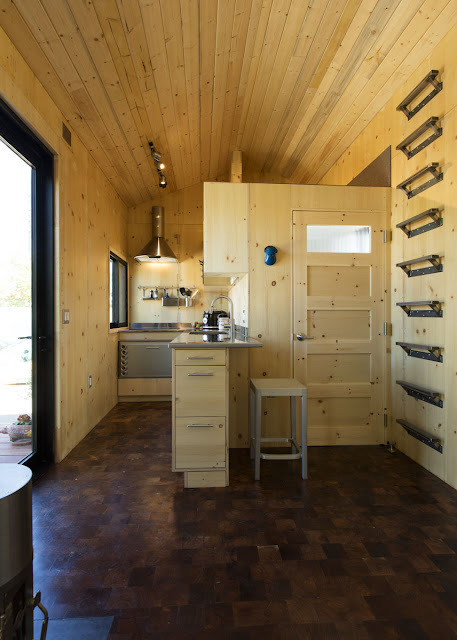 It has a steel-exoskelteton with wool insulation, knotty pine interior, and mesquite end grain floors. 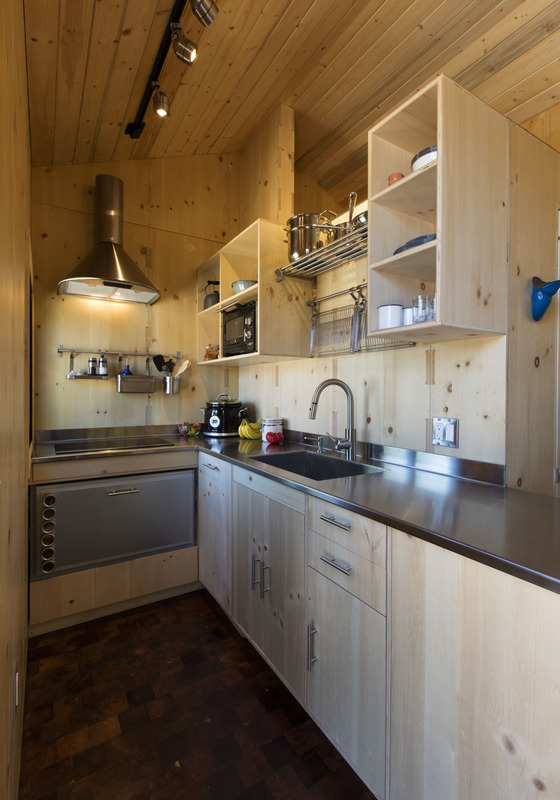 The kitchen comes equipped with a two-burner induction cooktop, a convection micro-oven,a drawer fridge, and stainless steel countertops. 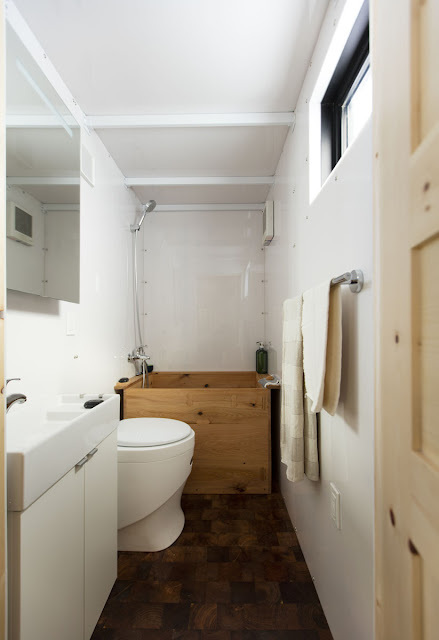 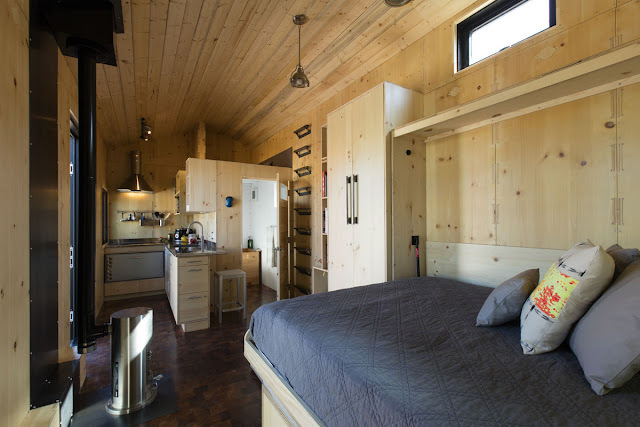 There's also a luxe bathroom with a composting toilet and a hand-built cedar soaking tub! 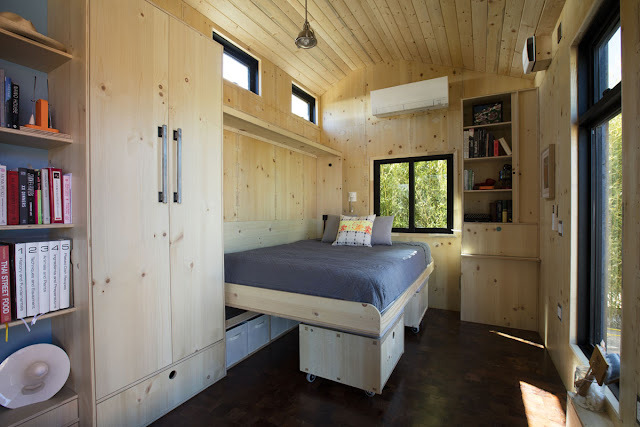 Also included is modular seating and a queen-sized wall bed!